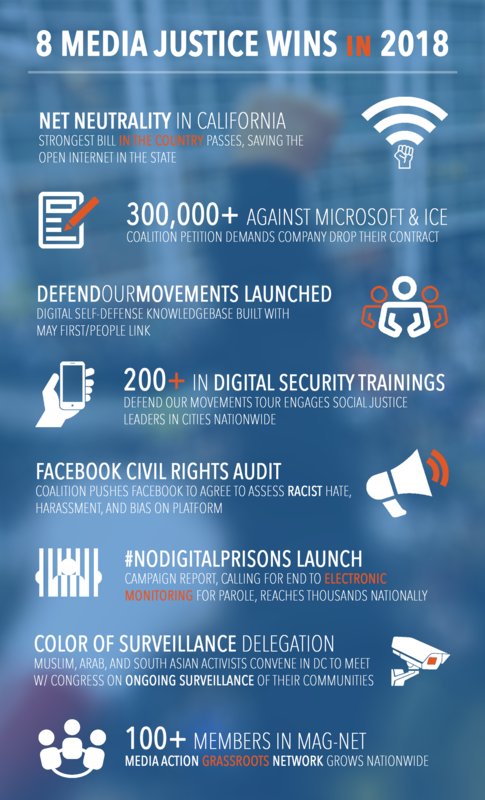 As the year comes to a close, we’re sharing some of the top victories we accomplished together over the past 12 months. Thank you for your ongoing support of Team Media Justice and all that we do! Help us make 2019 our biggest year yet by pitching in today. In the Twitter thread below we capture some of the top op-eds and media appearances from our staff this past year, and the impact they’re making in shifting national narratives around the fight for the digital rights of people of color.